This photocopiable resource has been produced to determine a baseline for Year 8 or 9 students starting GCSE Computer Science. 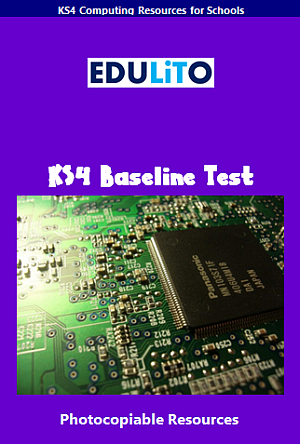 This baseline test is designed to provide a stimulating, engaging and effective way of assessing your students. As well as the baseline test, you are also provided with a comprehensive marking scheme for the test. Please be aware that there may be appropriate alternative answers to some of the questions, and it is therefore suggested that the teacher uses their discretion when marking students work.